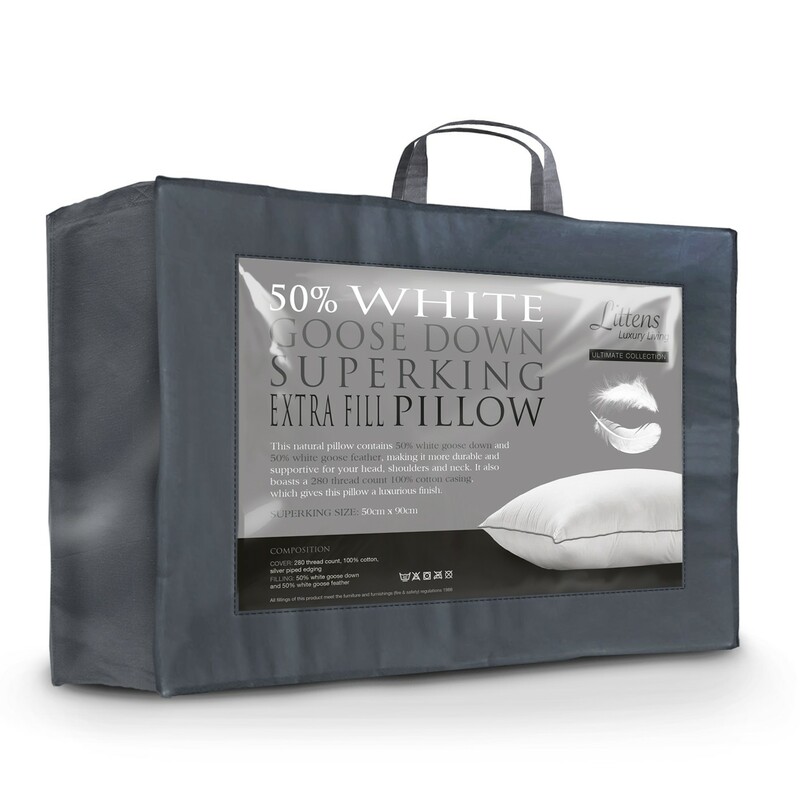 This is a luxury premium extra filled super king size 50% Goose down pillow measuring at 50cm x 90cm. The pillow is filled with the highest quality goose down for a truly unforgettable sleep. Premium goose down has been hand-picked to create this fresh and strong yet durable filling, providing an outstanding softness and cushioning, and gives an amazingly soft sink feel when resting. Weighing at approximately 1450 grams, this pillow is perfect for somebody looking for maximum support as well as comfort. The pillow offers natural breathable qualities of down, which will regulate your body temperature through the night. 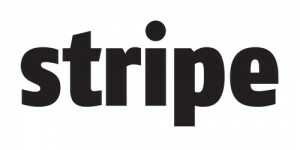 Trapping warm air to keep you snug but preventing discomfort from over-heating. The fabric used on this pillow is 280 thread count high quality cotton, which helps keep the filling trapped and gives a silk smooth feel. The pillow is complemented with a fine double stitch edging and a silver piped trim giving it a perfect finish. 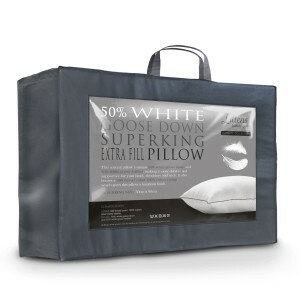 SKU: Supekinggoosedownand featherpillow. Categories: Super King Pillows, Pillows. This is a pillow measuring at 50cm x 90cm. The pillow is filled with the highest quality goose down for a truly unforgettable sleep. Premium goose down has been hand-picked to create this fresh and strong yet durable filling, providing an outstanding softness and cushioning, and gives an amazingly soft sink feel when resting. Weighing at approximately 1450 grams, this pillow is perfect for somebody looking for as well as comfort. The pillow offers natural breathable qualities of down, which will regulate your body temperature through the night. Trapping warm air to keep you snug but preventing discomfort from over-heating. The fabric used on this pillow is 280 thread count high quality cotton, which helps keep the filling trapped and gives a silk smooth feel. 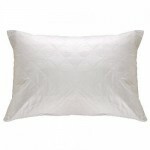 The pillow is complemented with a fine double stitch edging and a silver piped trim giving it a perfect finish.